Let’s talk food, y’all. After all, we can’t go on much longer discussing Southern culture and customs without eventually running into two of their most iconic aspects: cooking and eating. There is wide belief that Southern food refers to particular types of food, like grits, collards, and fried chicken. Admittedly, there’s some truth to that. Such foods are indelibly tied to our region and our kitchens, and you’d be hard-pressed to find them better-prepared and better-tasting anywhere else in the world. That being said, there’s more that goes into “Southern food” than stereotypical dishes. Like many food-focused cultures, Southerners don’t just eat with a human instinct towards survival. We eat with an intrinsic desire to share time, stories, and a connection with others. And as enjoyable as it is to eat Southern food, you’re not having a real Southern meal unless there was some ritual and conviviality to get there. I was reminded of this during the recent holidays spent with family, where the family recipes used, secret ingredients imparted, and best-way-to-do-that practices demonstrated by multiple generations wielding utensils were all just as important to our experience as the food prepared and the fun of eating it. Make no mistake. Cooking in the South is more an experience than it is an art. Family recipes passed around rarely produce exactly the same results because everyone’s “dash” of this and “pinch” of that is different. And outside of the family, there is always the “secret ingredient” variable to keep in mind. Finding out the secret ingredient in a treasured dish (and then getting threatened with a grisly end should you ever reveal it outside the family) is a true coming-of-age moment in the kitchen. I’ve seen good friends happily trade their family’s recipes. But you would never find the secret ingredient on that card. And it makes sense in a way, because our food is linked with our history and our stories. 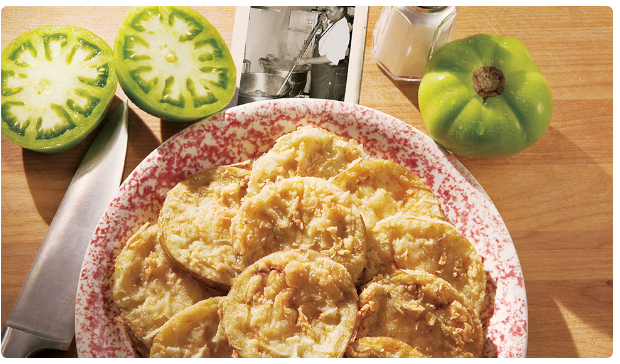 Eating traditional Southern food is quintessential to experiencing our culture, and luckily, many wonderful Southern cooks have made a career of taking our flavor, history, and traditions into restaurants. If you’re visiting Emory, we certainly hope you have time for at least one Southern meal with us here in Atlanta. You won’t be sorry! Having grown up here, I’ve definitely developed my favorite spots for Southern food, so here are my recommendations. 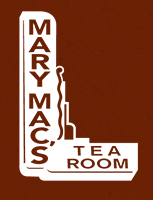 Founded in 1945, by the talented Southern cook and business woman Mary McKenzie, Mary Mac’s is the only remaining “tea room” left in Atlanta. Don’t let that label fool you though, because you can get a full Southern meal and experience here, from iced tea to meat and sides to dessert. Calling a restaurant a “Tea Room” was the loophole that savvy, business-minded women of the post-World War II era found to get around the precedent against women opening a restaurant. Fondly known as Atlanta’s Dining Room (yup, according to Resolution 477 by The Georgia House of Representatives), Mary Mac’s offers a true Southern experience, from table to ambiance. And don’t be surprised when you look under the “Four Vegetable Plate” menu option (my top recommendation) and see that the vegetables available for you to select include macaroni & cheese, sweet potato soufflé, fried green tomatoes, grits, and many more sides that straddle the line between vegetable and starch. Let me just say, I don’t ever want to live somewhere that doesn’t consider mac & cheese a vegetable. 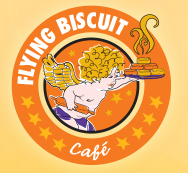 This is my top recommendation for a Southern biscuit. Add the collard green and ham omelet and a side of the famous “creamy dreamy” grits, and you can understand why this restaurant is beloved by its patrons. There are multiple locations, but I am particularly partial to the one in my old stomping grounds of Virginia Highland because it’s open late (sometimes you just need breakfast for dinner) and has patio seating looking out into Midtown Atlanta. The atmosphere and décor have real character and of course, the food is excellent! Another historic marker in Atlanta’s culinary family tree, the Colonnade was founded in 1927, and to this day, still serves up some of the best Southern fare in the city. The Colonnade is so well known that it has become a bit of a tourist destination (most recently featured in the movie Identity Thief), and it’s rare you don’t see a charter bus in the parking lot dropping off a fleet of pro athletes in town for a game and wanting a substantial meal. I will admit that its traditional atmosphere and food are an interesting contrast against the backdrop of its location on Cheshire Bridge Road, which is another of Atlanta’s more eccentric neighborhoods. Just a heads up – you will be offered yeast rolls and corn muffins. Unless you’re just a big fan of cornbread, ask for “all yeast rolls”. Nothing against cornbread, but those yeast rolls are where it’s at. I’ll just level with you: there is much contention about what is truly the best BBQ place in Atlanta. I have chosen Community BBQ for a few reasons. Known for offering an excellent meat selection and a great variety of sauces, Community also has super-fast service. It’s a good thing, too, because the amazing smell of BBQ pervades the parking lot so much, that by the time you get to the ordering counter you’re pretty much ready to eat the table. I’ve got a soft spot for this place though because I found myself there this past New Year’s Day, searching for the traditional fare of collards, black-eyes peas, and pork to start off 2015 right. It’s said that eating these three items bring money, luck, and good health (respectively) in the new year. Admittedly, I was cutting it close at 7PM on a busy day, but Community came through for me with a great meal, so now we’ll just have to see what 2015 brings! *Emory uses these abbreviations to designate graduation year. For example, Farish graduated from Emory College of Emory University in 2011.